I would like that they put the next gen IFV cannon (45mm/57mm) as the primary weapon of future mi-28s. one shot from either of those would demolish most soft-skinned targets, and they can do it much farther than 30mm. The disadvantage would be the extra weight, enormous reduction in shells, and unneeded redundancy since 80mm rockets exist. The 2a42 is already very powerful for a chopper, only stronger weapon was the monstrous Gsh-30-2. 45/57mm guns would be totally impractical in that flexible mount, the recoil/weight would tear it apart, not to mention the ammo issues. Yeah not to mention the fact that as the chopper's 30mm cannon will be fired against top-armour anyway; it's plenty good enough in penetration power against everything other than tanks. The 30 X 165mm guns of the Russian helos are already serious over kill for most ground targets. 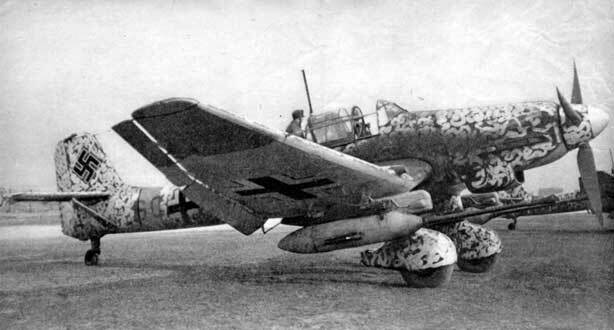 Makes more sense to reduce power but with a still heavy HE payload.. 23 x 115mm rounds would much more use. the rounds are only slightly bigger than HMG rounds while the 23mm rounds have far more HE power than other rounds carried by APCs. Not to mention that at the start of introduction of Mi-24P with the almost 3m long barreled Gsch-30-2 had such a massive recoil on the highest RPM setting that after only a few engagements the hull and holdings of the gun started to crack, which was later fixed with reinfored rubber and reinforced holdings. Also everyone who has seen Mi-24P shooting the most powerful 30mm ever installed on any helicopter, knows that after even a small burst the helicopter tends to yaw the nose downwards just from the recoil. An even bigger automatic cannon would reduce the lifespane of the helicopter drastically if not endanger it on the first engagement to a fatal disaster for the crew. Also most helicopters are to small and leightweitghed even to be able to fire any calibre higher than 3-4t of recoil. Maybe they could install those 37 mm gun pods on Mi-28N wing pylons. 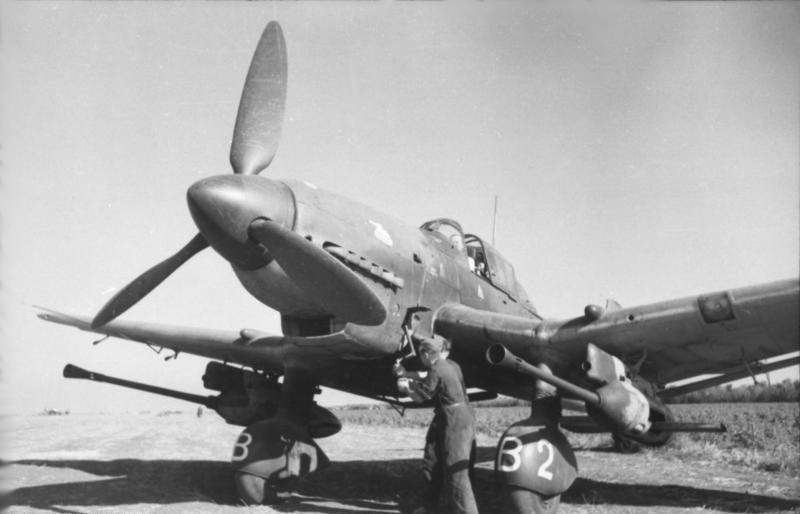 If even such overpowered weapon would be considered to be installed on any attack helicopter it had to fullfil certain requirements such as NTOW and MTOW are at least 9t to 12/13t to sustain the recoil, reinforced holdings and mentaling, such weapons had to be installed on the fuselage only like on Mi-24P, since such recoil on stubbed wings would create cracks or rip them apart. Also there would be needed a higher performance and space for storage of the gun, feeding system and a realistic and tactical valueable amount of munition, with 10 rounds such a weapon would be useless, except if they somehow would make mininukes in 1-2kg shells. And one of the most important things would be that the recoil had to be reduced drastically due a perfect placement of the gravity center and the yaw of the helicopter wouldn't effect any reaction to the rotor mast, not to cause mast bumping or any other interferences. The recoil would mess with the nearby optics turret as well....barring a new 30mm gun, 2A42 is the way to go. Mi-28NM was supposed to have some sort of ammo-storage change (more aerodynamic) but I don't think they will proceed with it. Not worth it. My understanding is that they want a lot more cannon ammo to be carried but the ammo storage bins already generate too much drag and that the belly area of the aircraft will be modified to store ammo in rather greater quantities because the weapon is powerful and accurate and very useful against a range of close in targets. The aircraft can already carry plenty of guided missiles to take care of heavily armoured targets so for many of the rest the cannon and unguided rockets are useful. I really hope they will bring the new upgrades of Kurganez25 of the Shipunov 2A42 cannon to Mi-28 and Ka-52. I really hope they will bring the new upgrades of Kurganez25 of the Shipunov 2A42 cannon to Mi-28 and Ka-52. The casing showed increased grouping of cannon fire and that is very imprtant for the Mi-28 it lacks accuracy in comperision with Ka-52 and in comperision how inaccurate it can become when shooting to offbore. Not sure where to put this or why it was released today. Modern automatic aircraft cannons are a combination of artillery guns and rates of fire usually found on conventional machine guns. Some types of Russian-made canons can fire even faster than that. One of these wonder weapons is the Gryazev-Shipunov GSh-6-23 six-barreled 23 mm rotary cannon. The GSh-6-23 has an extremely high rate of fire, with maximum cyclic rates of 9,000 to 10,000 rounds per minute. Compared to the US M61 Vulcan, the GSh-6-23 fires 50-66 percent more rounds per minute, has a heavier projectile, but lower muzzle velocity. The weapon is also lighter and shorter. An updated version of the GSh-6-23 is standard equipment on the Sukhoi Su-24 bombers and the MiG-31 all-weather interceptor. A six-barrel version of the GSh-6-23 can also be mounted on the MiG-27 fighter-bomber, even though the plane already carries a 30mm automatic cannon capable of firing 6,000 rounds per minute making it the fastest such weapon around. The Tula armorers are also famous for their GSh-30-1 automatic aircraft cannon, which, at under 50 kg, is the world’s most lightweight 30 mm automatic cannon. Another thing that makes it so one-of-a kind is the use of an evaporation cooling system to prevent the detonation of a high explosive round inside a heated barrel. This cooling system consists of a cylindrical water tank around the rear end of the barrel. The GSh-30-1 is equipped with a unique pyrotechnic mechanism to clear misfires: a small pyrotechnic cartridge is located to the left of the 30mm cartridge chamber. This pyrotechnic cartridge fires a small steel bolt through the side wall of the 30mm cartridge. The hot propellant gases following the bolt into the dud 30mm round ignite the powder charge of that round and firing continues. The gun's maximum effective range against aerial targets is 200 to 800 m and against surface or ground targets is 1,200 to 1,800 meters. In combination with a laser rangefinding/targeting system, it is reported to be extremely accurate as well as powerful, capable of destroying a target with as few as three to five rounds. The GSh-30-1 is used by MiG-29, MiG-27, Su-30, Su-33 and Su-35 planes. It may also be mounted on Russia’s T-50 PAK FA fifth generation jetfighter. Nobody Does It Better: Russian Aircraft Cannons Outgun America’s Modern automatic aircraft cannons are a combination of artillery guns and rates of fire usually found on conventional machine guns. Some types of Russian-made canons can fire even faster than that. One of these wonder weapons is the Gryazev-Shipunov GSh-6-23 six-barreled 23 mm rotary cannon. The GSh-6-23 has an extremely high rate of fire, with maximum cyclic rates of 9,000 to 10,000 rounds per minute. Compared to the US M61 Vulcan, the GSh-6-23 fires 50-66 percent more rounds per minute, has a heavier projectile, but lower muzzle velocity. The weapon is also lighter and shorter. A six-barrel version of the GSh-6-23 can also be mounted on the MiG-27 fighter-bomber, even though the plane already carries a 30mm automatic cannon capable of firing 6,000 rounds per minute making it the fastest such weapon around. The Tula armorers are also famous for their GSh-30-1 automatic aircraft cannon, which, at under 50 kg, is the world’s most lightweight 30 mm automatic cannon. The GSh-30-1 is equipped with a unique pyrotechnic mechanism to clear misfires: a small pyrotechnic cartridge is located to the left of the 30mm cartridge chamber. This pyrotechnic cartridge fires a small steel bolt through the side wall of the 30mm cartridge. The hot propellant gases following the bolt into the dud 30mm round ignite the powder charge of that round and firing continues. The gun's maximum effective range against aerial targets is 200 to 800 m and against surface or ground targets is 1,200 to 1,800 meters. In combination with a laser rangefinding/targeting system, it is reported to be extremely accurate as well as powerful, capable of destroying a target with as few as three to five rounds. The GSh-30-1 is used by MiG-29, MiG-27, Su-30, Su-33 and Su-35 planes. It may also be mounted on Russia’s T-50 PAK FA fifth generation jetfighter. max steel wrote: Nobody Does It Better: Russian Aircraft Cannons Outgun America’s Modern automatic aircraft cannons are a combination of artillery guns and rates of fire usually found on conventional machine guns. Some types of Russian-made canons can fire even faster than that. Pls correct me if I am wrong but there were some problems with exploding ammo that's why those guns are not used in Russian AF anymore. Vulcan better advantage in aiming when you got very short time window in dogfight. The Vulcan is not only a heavier gun... it also needs a quite powerful electric motor to fire, which is heavy and takes a second or two to wind up to full speed, so a half second burst will not fire anything like the cyclic rate of the gun. In a high speed engagement the very short time from leaving the muzzle of the gun to impact the target can and will move so a bit of bullet scatter can improve the chances of connecting with a target actively manouvering. The problem is the big electric motor taking time to wind up and a gas powered gun that reaches peak firing speed almost instantly means the faster firing Russian gun will get more rounds on target in a shorter burst time than the slower firing american weapon. The fact that the velocity of the soviet rounds is lower is not important... over such short distances with laser rangefinding or radar tracking the chances of a hit are very high... the higher wind up rate of teh soviet gun means a cluster of rounds arrives almost at once like a shotgun blast instead of a string of rounds arriving in a line. Does russia have something like that ? Is it effective against cruise or anti ship missiles ? Does russia have something like that ? Yes but Russia, seems to give up AAA, and prefer to bet on missiles. However there are other solutions like SA-19 Grison -dubbed Tunkuska-, and SA-22 Greyhound - dubbed Pantsir-. Is it effective against cruise or anti ship missiles ? against small boat maybe effective, but one cannon firing against cruise missiles, or anti ship missiles, I don't think so, except if you have subsonic cruise missiles, or anti ship missiles, and you have a battery compsed with at least 30 guns like that firing in the same time. Maybe the best solution stays the Gattling guns as GAU familly, or Shiponow family -dubbed Kahstan-. Did you guys miss the new 57mm guns that are under development for the exact Anti Aircraft purpose? Its mainly used as naval gun, rather than "air defence gun", USSR had in same caliber ЗИФ-75 but it did not survive to this day i belive, was around till 90s but it was not nearly "advanced" as the Bofors you are wondering about. Russians switched to "bigger" guns mostly 76mm and 100/120mm on bigger ships. Atm closest that Russia is active in fielding is AK-176 76mm gun, however its direct counterpart would be Otobreda Melara 76mm. It should be actually fairly effective aganist aerial targets due to its very high rate of fire, FCS and programmable ammunition. Werewolf wrote: Did you guys miss the new 57mm guns that are under development for the exact Anti Aircraft purpose? i must have, can you post any info/links please. they are developing guided shells for their 57mm naval guns, though I suspect the same guided shells in larger calibres will be even more effective and more powerful. They are also introducing a new high velocity 57mm gun for use against enemy IFVs that also uses guided rounds. they also have rounds with timed fuses to detonate over targets... for their 125mm tank guns... ANIET. AFAIK the Russians have a new 57mm gun for naval use that will use the new guided shells developed for the Army, and no doubt include a HE round with a time fuse like they developed for their 30mm cannons and 125mm cannons. GarryB wrote: AFAIK the Russians have a new 57mm gun for naval use that will use the new guided shells developed for the Army, and no doubt include a HE round with a time fuse like they developed for their 30mm cannons and 125mm cannons. 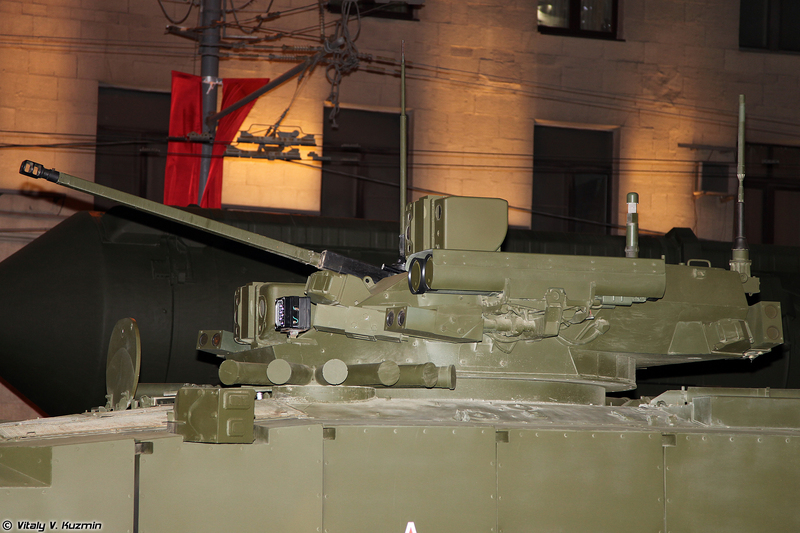 You are refering to Burevestnik A-220M, its the gun above mentioned Russian 57mm guns for IFVs/AA are based on. But to my knowledge its still not in service. I suspect it will be fitted to longer range light patrol corvettes... the smaller lighter gun allows more ammo to be carried and it good enough for most tasks. With passive guidance, a kind of IRST this 57 mm gun could be indeed redoubtable.